1. 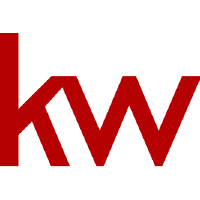 Log in to http://agent.kw.com with your Keller Williams login credentials. 2. At the top right of the page, click your Name, then select Settings from the drop-down. The pop-up box will have you login to your personal Facebook account to connect. Connecting this will allow you to utilize the Post Scheduling feature within Lead Accelerator. Create a social post schedule, then create Facebook posts to be delivered. The pop-up box will have you login to your Twitter account to connect. Connecting this will allow you to utilize the Post Scheduling feature within Lead Accelerator. Create a social post schedule, then create Twitter posts to be delivered. The system will take you to Google, where you can sign in to your primary Google account. Make sure to connect to the Google account that has your primary Google Calendar. This will allow you to create calendar events directly from Command Contacts. A Data Verification pop-up will appear, which will include your name, KWUID (Keller Williams ID), and Office ID. These fields are not editable, but you can choose which Office ID (not the Market Center number found in Whitepages) to use, if you are in multiple Market Centers. If you are only in one Market Center, click the button labeled Syncronize your eEdge Contacts across Keller Cloud to connect. The system will take you to Google, where you can sign in to your primary Google account. Make sure you connect to the Gmail account you will be using to communicate with your contacts. Command will then be able to automatically track and log all of your email communications with your contacts, past or present. Create or connect your Twilio account with Command. Using Twilio, you have the ability to text your contacts directly from Command, having the system automatically create a log of the communication. Coming soon - Send Bulk SMS to contacts. Create or Connect your PieSync account with Command. PieSync allows you to sync contacts from 150+ outside applications, including Google and iCloud Contacts. To learn more about PieSync, click here. The system will have you log in to your Office 365 account. This will allow Command to automatically track and log all of your email communications with your contacts, past or present. The pop-up box will have you login to your personal Facebook account to connect. This will allow you to create ads for Facebook and Instagram, through Lead Accelerator. Make sure you connect the personal Facebook account that your Facebook Business Page is attached to. The pop-up box will have you login to your Twitter account to connect, this will allow you to create ads for Twitter, through Lead Accelerator. The pop-up box will have you login to your Google account to connect, this will allow you to create ads for Google Adwords, through Lead Accelerator. Make sure to connect to the Google account that your Google Adwords account is set up under. The system will take you to a special MailChimp login page, built for this connection. Whenever you email an offer through Opportunities, email a template from Designs, or send an email through SmartPlans, these emails are sent through MailChimp, and you must have a MailChimp account connected to Command to do so. If you don't have a MailChimp account to connect, simply go to Mailchimp.com and create a free account. To learn how to create and activate a free MailChimp account, click here. To learn how to verify an email domain in MailChimp, click here.